Behold the ram raiding Mazda 121! 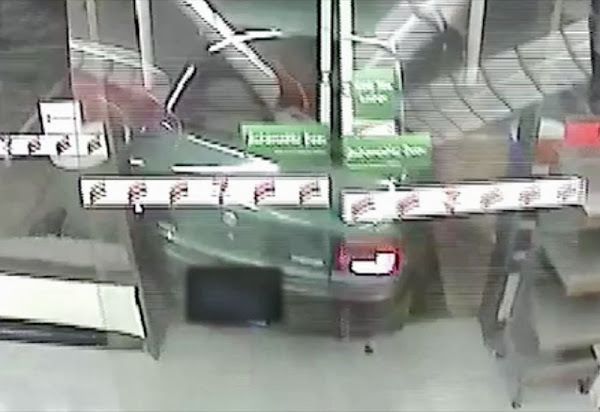 Earlier in the week we were fascinated by a police media release on a Mazda 121 being used to break a trapped thief out of a 7-Eleven Petrol Station. Now, thankfully, we can bring you that video courtesy of ACT Policing. Of course if you recognise the scrote you can contact Crime Stoppers on 1800 333 000, or via www.act.crimestoppers.com.au. Information can be provided anonymously. 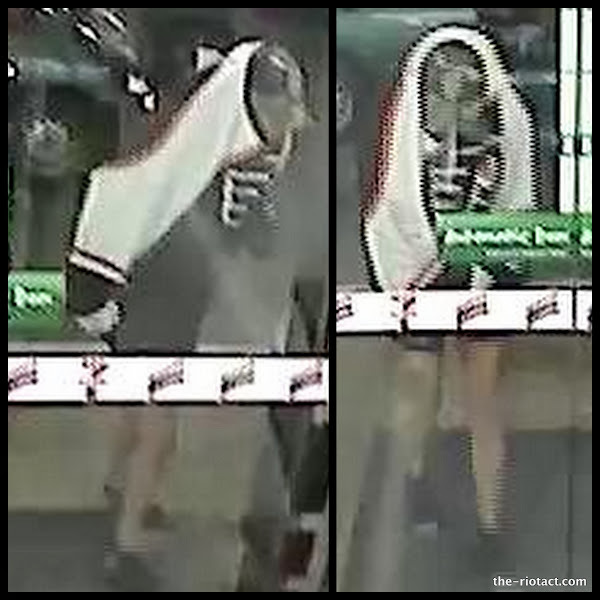 Clothing: Black hooded jumper with white and black writing motif on front, white stripped pyjama pants, socks on hands and feet, and red/orange coloured cloth around nose/mouth. The male is approximately 5’7” tall, with a medium build and dark complexion. Clothing: White and black sports jersey with black and white motif on front, dark shorts, black footwear, and black hat. The male is approximately 5’7” tall, with a medium build and tanned complexion. What we need is a “Hoody buy back scheme”. I mean, what possible legitimate reason is there for wearing a hoody, especially in summer. And I swear that I haven’t done a robbery for at least a week. In an ideal world, the teller would simply have pulled out his trusty .38, put two in the scrote’s ten ring and subsequently been lauded as a model citizen and awarded a gong. “For Services to Pesticide”, or something like that. Sadly, our world is far from ideal. Yes, and no doubt soon after that trend starts, the crims would lock and load a .45, stop asking tellers for the cash and just blast them away before taking what they want. Seriously guns aren’t the answer, and over the past 30 years you see an arms race between law enforcement and criminals. Gunz. They’re always the answer. This is why America is so safe. Well – gunz and high-resolution video systems allowing for instant identification of woeful scrotes. I agree, they are as the made up french say; Le’ Fromage de underscrote’s. Nice story, but it would be un-RiotACTish of me not to criticise – pedal. I have nothing else more useful to add. The rest of us were ignoring this off-topic post. Well I did say that it was probably not the place for it and explained why I put it there, Are you upset that I didnt follow on with the serious nature of this article? IP, Well spotted and I will cop that one on the chin. Imagine me spelling peadle wrong. 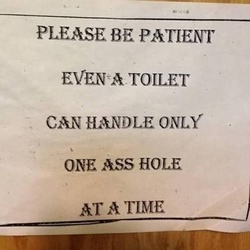 On a completely different and slightly more entertaining note (but probably not the place for it ). One of the links at the end of the clip was for a pulse jet powered bicycle (might be different links to vids for other people) and it reminded me of how much trouble I have been having with the police, my love life and the interpretation of road rules for electric bikes in regards my custom motorised petrol bicycles (pulled over 4 times in 3 weeks, plod have a go on the bike 3/4 times and love it). I was pulled over on summernats weekend whilst I was taking my trusty red, two wheeled, custom stead “Heatseeker” for a spin. “Heatseeker” is red, 90db loud and fun whilst economical and a great conversation starter that I built with these hands. “Heatseeker” is a great name for it because thats what it did, it attracted glorious heat. Cruising home through the badlands of Belcompton behind Bunning’s I was pulled over by a rather nice Police SGT, she was very friendly, polite, fair and displayed great commmon sense. I harbour no resentment or ill will towards her because she had a very busy job to do that day and it was getting pretty hot outside. I will call her SGT Groovy because thats how she came across. She called the probationary officer, Constable Blankblueeppilettes, over so she could test his knowledge (She seemed like she would be a good instructor). Probey asked me what the power output was and I replied under 200 watts. I was told that it had to be over 200 watts because 200 watts wouldnt push me more than 8-10 kms an hour. I was then asked what size the engine was, I replied 49cc. What is the engine in Millimetres? I was asked by Constable Blankblueeppilettes. I said that it is a 49cc and I have never heard of engine sizes being referred to in millimetres. I was then told that I could be charged with riding an unregistered, uninsured vehicle to which I replied: It is exempt from rego. He replied that it cannot be exempt and that it is illegal to ride. I said in response that the legislation said it was exempt. I was thinking to myself, Please release me. Can you ride it home without the engine? SGT Groovy asked. I can make it to the Green Green Grass of home, I said in a smooth, Tom Jones like velvet tone whilst flexing my “abs”. This had no obvious effect on her and I felt my machismo was rapidly failing me. The conversation ended shortly after this and we all happily parted ways, but I was left with a metaphorical bad taste in my mouth (having ridden bikes like these for years without any hassle) and a heavy heart (She’s a lady, but obviously not a Tom Jones fan). Has this happened to anyone else? Bike stuff, not romance. P.S. It’s loud but legal Mr Plod! Just wait till I build my pulse jet bike! Nuff said! P.S.S Tops marks for SGT Groovy, we should have more like her and if you kept my number…. Call me maybe? No. Some of us enjoyed reading it, but didn’t see any point in commenting until this. I recall a few years ago a service station attendant in Sydeny’s inner South was robbed. Well, they attempted to rob him. Problem was this guy was in the habit of taking his illegal and unregistered firearm with him when he was on night shift. 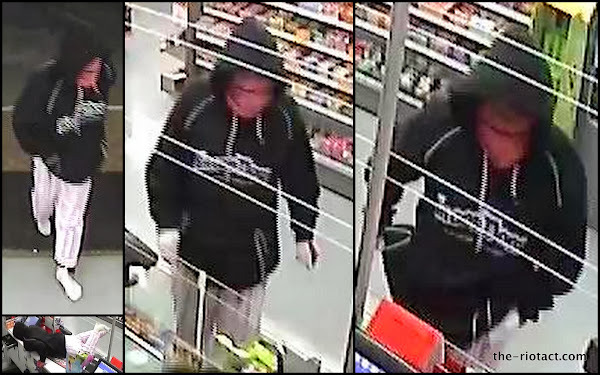 Result: one robbery prevented, one robber with seriously brown undies. Sadly, the victim was prosecuted for doing nothing more than taking sensible and necessary steps to ensure his safety. Or to be precise, a black, white and orange stylised P logo on the front as used by the Philadelphia Flyers. Give him a break, it was an unfamiliar car – they’d only stolen it that night! That’s some serious glass used for the doors. The word “scrote” is woefully under utilised ! The words “scrote” and “woefully” in the same sentence are definitely under utilized! Now with police descriptions of the criminals. Looks like the servo needs bollards installed… Lotta suburban shops get ram raided with cards and now have anti-car bollards installed. Naval mines work well also. I was pulled over on summernats weekend whilst I was taking my trusty red, two wheeled, custom stead “Heatseeker” for a spin. “Heatseeker” is red, 90db loud and fun whilst economical and a great conversation starter that I built with these hands. “Heatseeker” is a great name for it because thats what it did, it attracted glorious heat. Cruising home through the badlands of Belcompton behind Bunning’s I was pulled over by a rather nice Police SGT, she was very friendly, polite, fair and displayed great commmon sense. I harbour no resentment or ill will towards her because she had a very busy job to do that day and it was getting pretty hot outside. I will call her SGT Groovy because thats how she came across. Can you ride it home without the engine? SGT Groovy asked. I can make it to the Green Green Grass of home, I said in a smooth, Tom Jones like velvet tone whilst flexing my “abs”. This had no obvious effect on her and I felt my machismo was rapidly failing me.